My rating: 9/10. Excellent watch, tough and durable. Today I’m doing a Casio G-Shock GA-100MB-1AER review. 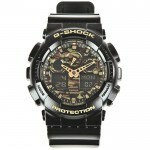 If you love military-esque style watches then the G-shock range will be ideal for you. 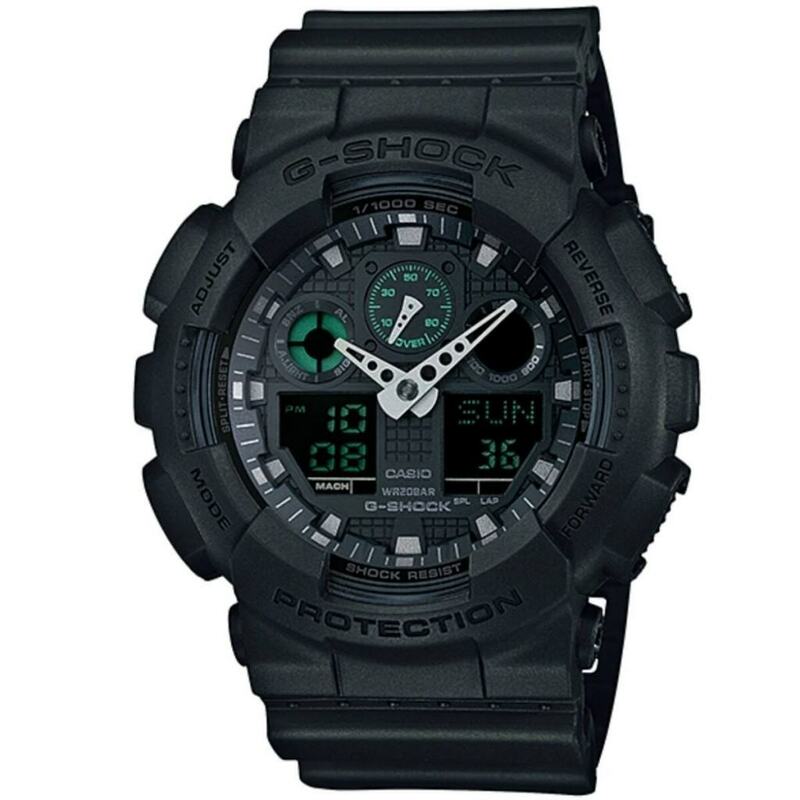 Casio’s G-Shock watches are built to last and withstand mechanical vibration. With its thick resin build, it’s very tough and durable with tons of useful features included. It uses a dual digital analogue watch display with a backlight function for easy reading in dim lit conditions. There is also an alarm function, stopwatch, and countdown timer. 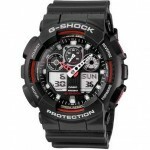 G-Shock watches offer tough, durable watches for a very reasonable price making them extra affordable. You may also like my 21 most recommended watches for men. Band Thick rubber strap, standard length, 26mm width, standard buckle clasp. Case Stainless steel resin coated casing, sizing diameter: 48 mm and thickness: 17 mm. Dial Dual digital analogue display. Mineral glass offers a good level of protection from scratches. The thick resin build makes this watch extra durable. The watch has a large chunky display with a 48mm casing diameter. The watch has a selection of useful features available. 200m water resistance, suitable for professional marine activity, serious surface water sports, and skin diving. Due to its oversized chunky design it may not be suitable for everyone, some people prefer smaller watches. The backlight could be brighter. 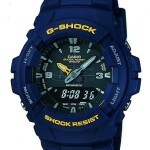 Casio G-Shock GA-100MB-1AER is great for anyone who loves being outdoors playing sports or working. It’s very durable and built to last with the stainless steel case that’s coated with a thick layer of resin for extra protection. Overall the G-Shock range of watches are some I’m always happy to recommend as I think they offer very good value for money to people. Hope you enjoyed this Casio G-Shock GA-100MB-1AER review. Find more watch reviews below.